The story of my acquaintance with Binom began when I was advised by a colleague, a successful affiliate, who used this tracker to do blackhat Google AdWords gigs. At the time Binom had a set of necessary functions that were not present in this combination with other trackers (namely: landings without redirects, traffic filters by many parameters, including ISP Google). So switching to Binom was a no-brainer. As a media buyer, I had some idea about the advantages and disadvantages of different tracking solutions since I often had to use trackers like Voluum, PixelK, Keitaro TDS and had some experience with AdsBridge. 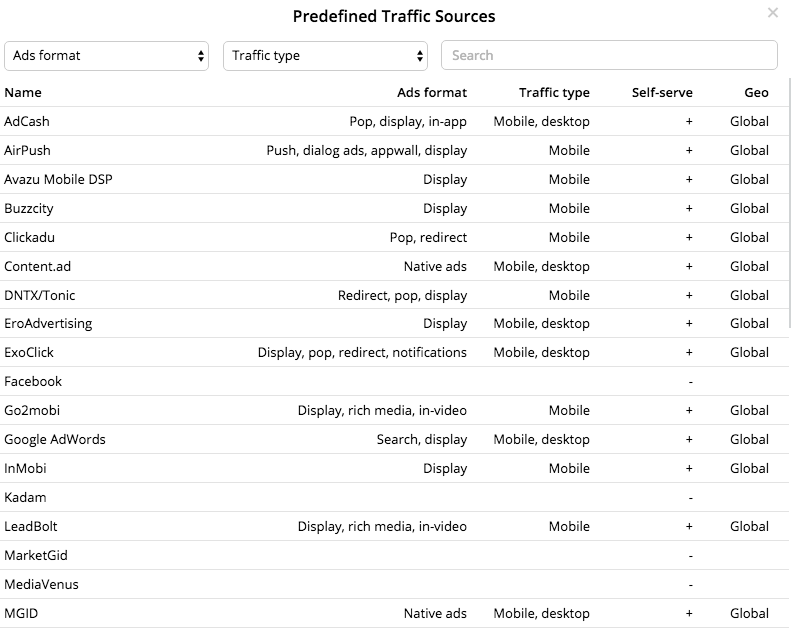 Unlike other trackers, Binom has a large set of tools for analyzing traffic and its distribution and the major added value of an intuitive and logical interface. In the beginning, I was surprised Binom wasn’t a cloud solution, but as it turned out – that was nowhere near a dealbreaker. Almost everything was done for me by the support service. The guys were awesome – they installed the tracker completely free of charge. Back in the days what I did was to redirect my old domain to the tracker and by doing that I landed a free use of Binom a whole month! Check the exclusive Binom coupon they offer for Mobidea Academy readers, and you can do that too 😉 Where I’m going with this is that you can thoroughly test the tracker for a very good period of time without spending a dime. Plus, you’ll get 40% off on the second month. In fact, now that you have the tracker and a server (and for free if you used the Academy deals!) you can jump straight to testing! After you’ve installed the tracker, all you need is to set up your domain on the server, and voila! If these technicalities are not your cup of tea, ask the Binom support team for help. You won’t be disappointed. P.s. : In case you need new and cheap domains, take a look at Namecheap! First of all, it’s a truly professional tool created by a top affiliate who himself was engaged in CPA marketing and in the past used to make more than $1k profit daily. He knows exactly what characteristics a professional tracker should have and what pain points it should be solving, and that endorsement got me on board immediately. In this guide, I want to tell you about the way I use Binom in my day-to-day and what are the fundamental features that make the service indispensable. 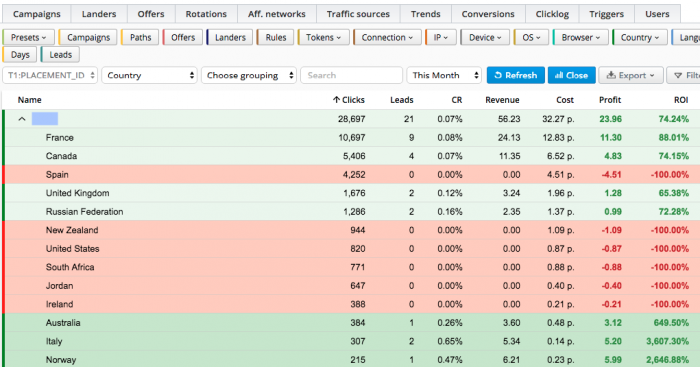 For affiliates, the reporting feature is probably the most important thing about any tracker. The reports help us optimize traffic, cut off money-burners and get even greater ROI and profit. The visual interface is fundamental and speaking of which, Binom’s got a built-in function of conditional formatting of the profitability of many parameters and analytical data points. This gives you the orientation of where your traffic situation is headed – red is bad, green is good. You can assign special labels for different parameters. In my case, a star means that a site brought 3 or more conversions for the time I used it as a source. The “basket” stands for blacklisted. Every time I open a report I immediately see my “star sites” and understand whether the campaign is good (green) or bad (red). If a “star” has turned red, I dig deep into the data to find out why. If a previously successful source suddenly stops working it could mean that the offer is disconnected, or the audience of the site (platform) is tired of it, or something else altogether. You need to get down into details! The availability of saved reports is a huge helper. Samples, filters that you create for analysis, black- or whitelists – they can all be saved and checked later. To get a whitelist based on this data, it’s enough for me to select the sites, copy to the clipboard and paste into a new campaign in the traffic source. That’s all! It makes a huge difference if you compare it to uploading 10-20 campaigns every day into Excel and analyzing to get to the Red/Green or Star/Basket insight. You can generate reports for any period, but there’s a tiny catch. Similarly to some cloud tracking platforms out there, Binom also puts limitations for reports on large amounts of popunder traffic. They’re not as strict, but nevertheless, this limitation exists so keep it in mind. Binom’s reports are so well designed that I often try to copy the logic when dealing with other projects and very often the platform messages I get are along the lines of “You have tried to load too much data. Adjust your parameters ”. This is something you won’t encounter with Binom. If the data is in the system – it will be available to you. This is a feature that I love! Previously when working in a team or buying traffic for myself I kept track of the changes I made to my campaigns in Trello and thought that this was the height of perfection. With Binom all changes are easily recorded in the notes section of the campaign itself. Every time I optimize a campaign I put the date/time and what exactly I tweaked, and this has saved my sanity. I sometimes attach screenshots or use different fonts. This feature is a full-fledged diary of your campaign changes. Binom are proud of their approach to user support and the way they do it makes them one of the fastest and most professional services I’ve come across. No matter what your tariff is, for how many licenses and how much you pay – the guys are ready to help any time. Communication happens over a real-time chat, which is a massive relief for anyone who hates ticket systems or email communications. It’s absolutely beautiful. Try it and see for yourself. Binom costs $69/mo (if you pay for a year) or $99 in monthly installments for a professional tool IMHO is more than affordable! You get a tool with no restrictions on traffic, the number of users or domains. A fast and professional online support team and even if you end up paying for additional server licenses for large volumes of popunder, it will still be cheaper than some cloud solutions. Are your hands itching already? Let me walk you through the real action. 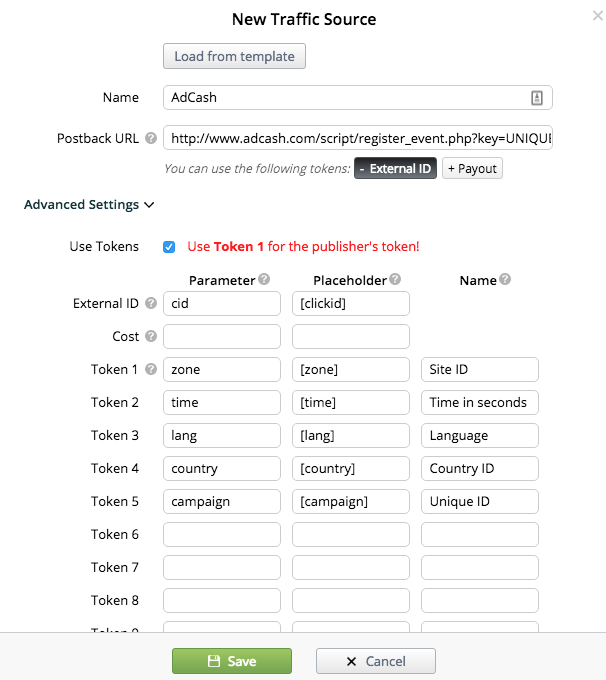 After you’ve installed the tracker through an automatic script or had the support team do it for you, you’re ready to create your first campaign. 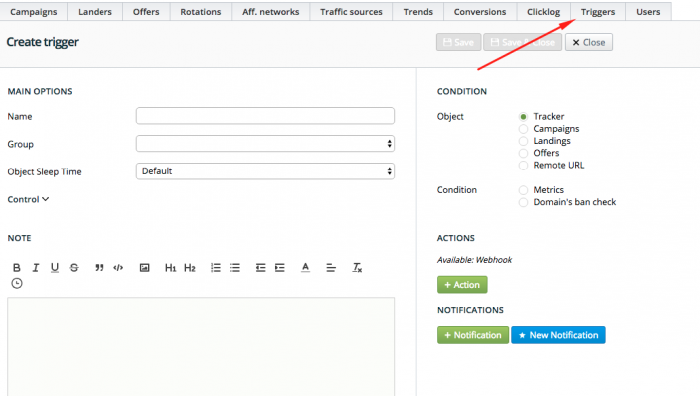 Open the “Traffic Source” section and hit “Create” to add a source from the list. All popular sources are there for you to pick from. 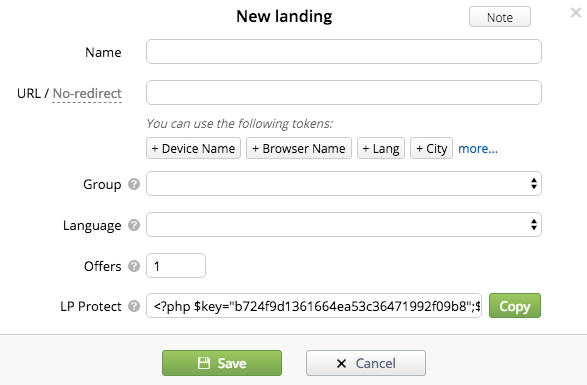 If a source is missing, you can add it manually by specifying the desired tokens. Similarly to the previous point. 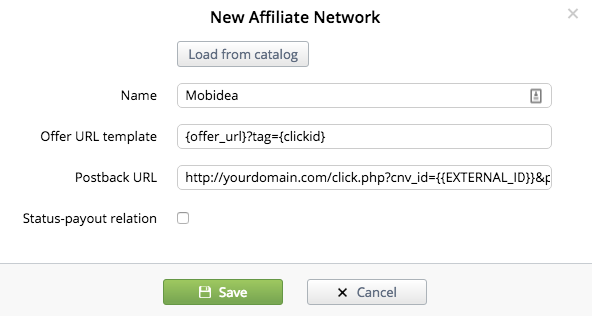 Go to “Affiliate Network”, hit “Create”, choose from the catalog of available networks or add one manually. When I add a network on my own, I usually only specify the name. Next step – add an offer. URL: place the link to the offer and remember to pass the parameters you’ll transmit to the affiliate network (usually a Click ID). Country: set for a country or open for Global. Group: this parameter is used for additional filtering (grouping) as well as for differentiating access rights for different users on a group level (you can skip if it doesn’t apply to you). Affiliate Network: pick one as described earlier. 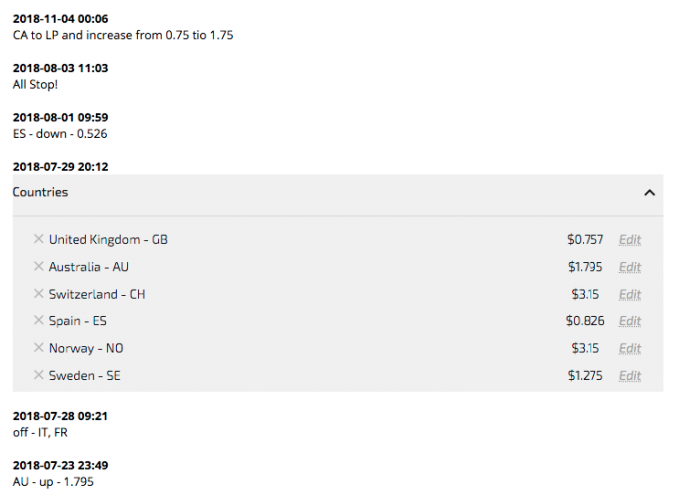 Payouts: choose the currency and specify the amount of the payment. I often use the “Auto” parameter to get the conversion amount from the partner network. And that’s it. Hit Save and let’s move on! Setting this up is a piece of cake since there are two options for working with landings. By specifying the path and the parameters to be transferred to it. The LP will be loaded directly into the tracking platform and will be opened from the traffic source for the link specified in the source. This is a necessary feature for sources like Goole Ads/Facebook who don’t take kindly to redirects. Let’s head to the section where there’s daily and regular work – “Campaigns”. Click “Create” and start filling in the details. Group: the grouping option allows you to group campaigns and assign access rights for these groups. You can also use the groups as quick filters. Traffic Source CPC/CPM/CPA: this is the cost of traffic indicated per click or 1000 clicks. 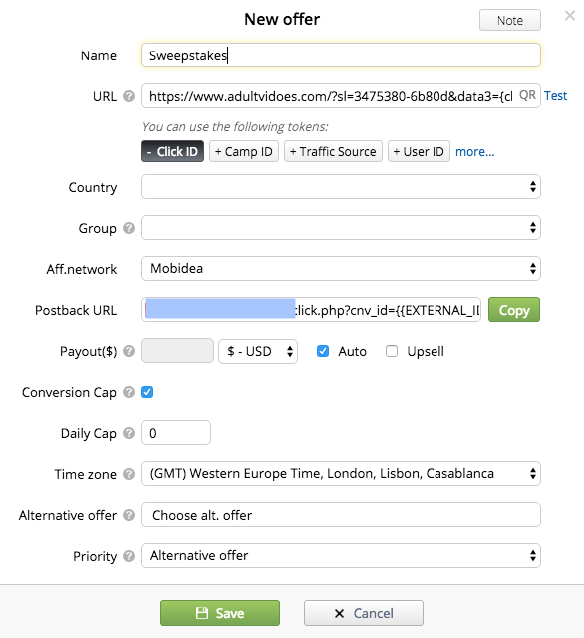 You can also receive the value from the traffic source if it provides such an option. Domain: add the domains to which you’ll direct traffic. Type of distribution: here you select the type of traffic direction. 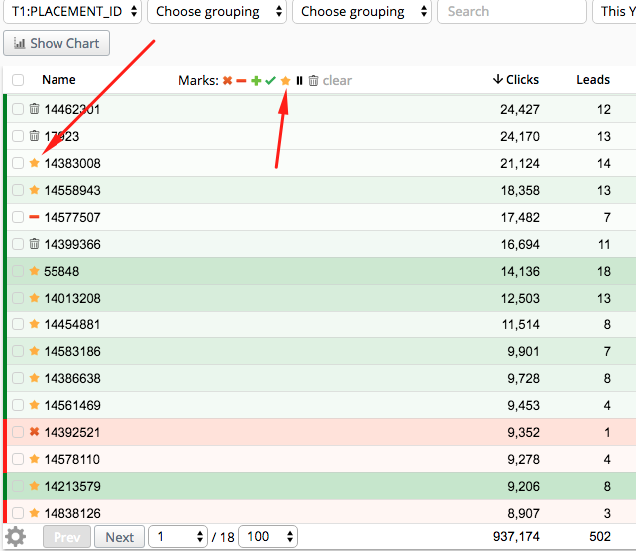 If you have complex rules in place and there are several offers or landings in the rotation, you can specify how they will be shown. For example, you can have the user land either on a random LP or on the same one that he saw the first time. Campaign URL: from this field, you take the link for the traffic source. Note that the link will appear only after you save your settings. That’s about it. There’s also a list of additional parameters for advanced users, so if you are a newbie you’re good to go as it is. For you, what comes next is much more important. On your right, you’ll find the Path and Rules section. Landings and offers are specified in Path, the conditions for the traffic are specified in Rules. 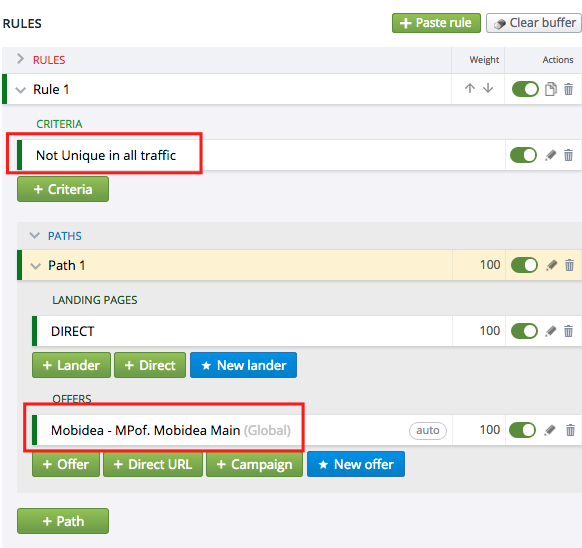 In this example, the traffic will be sent to one of the 4 offers directly or via a landing page. The offers and landings can be as many as you want and you can even rotate them (that’s one of the advanced functions). I like to optimize by applying different rules and you might find it useful to understand how I do it. What is the point here? Simple, I expose the user who has already seen my offer to something new that they might convert oner. In this case, I show them a smartlink with Sweepstake offers. By default, all users who follow the links of the campaign go to the safety page. Moreover, the tracker could set landing pages without redirect and it basically served as an excellent Google Ads cloaking tool. This trick worked wonders back in the days, but it’s no longer relevant. To recap, you’ve got an amazing variety of traffic distribution options and from that point on, the sky’s the limit for you! 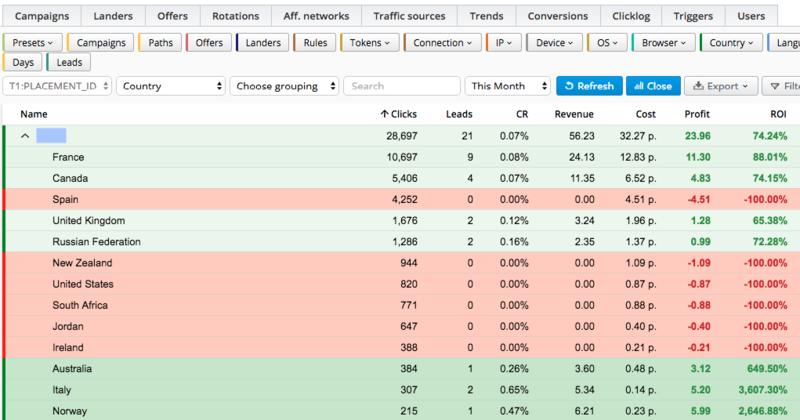 Now that you’ve learned how to set up campaigns and you’ve launched one (and started receiving clicks and conversions! ), it’s time to dig deep into the fun part – data analysis. The cost of traffic in the tracker must match the costs of the source of traffic. To update the campaign expenses, you need to open it in report mode (select campaign and click “Report”), then hit Update Cost. 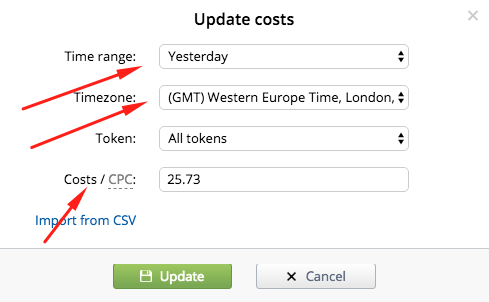 In the example, you see I’ve indicated the period of expenses (yesterday), the time zone of the traffic source, and the price (in this case, the price for the entire period). After you click Update the costs will appear in the last field. 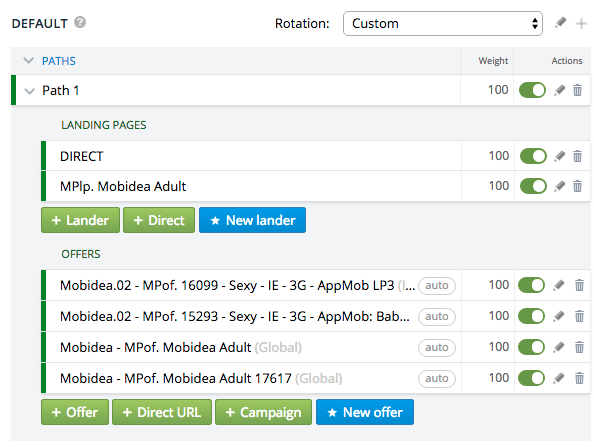 I start with seeing which offer and landing show the best results and on which devices, and I optimize the platforms last. Why is that? If you start with optimizing the sites you can cut off an interesting source. You can generate a report using the preset parameters in the form of buttons or by selecting the grouping option from the list. Everything is pretty standard here. If you’re working with a big set of data (say for a week or a month), it’s best to analyze the performance from all possible angles. The analytical sections of the Reporting section can be combined to identify less than obvious patterns. Just play around with this and save the reports you think are interesting. Those who switch from another tracker will be pleasantly surprised how quick it is to generate reports in Binom (even for popunders!). And that’s not all. I already mentioned a few other sweet perks like saving filters, marking indicators with special characters, etc. In addition to the report on each campaign, Binom lets you (and you should!) 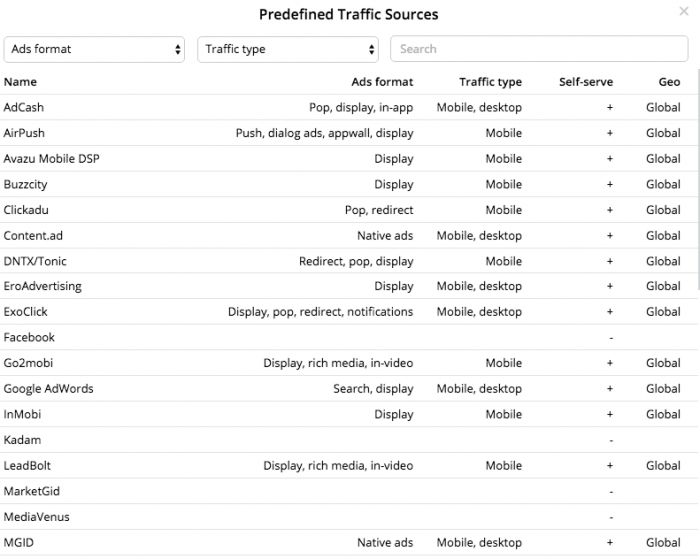 analyze the report on traffic sources even if you only have one source. Indeed, in this case, you will be able to see the patterns of each individual source. 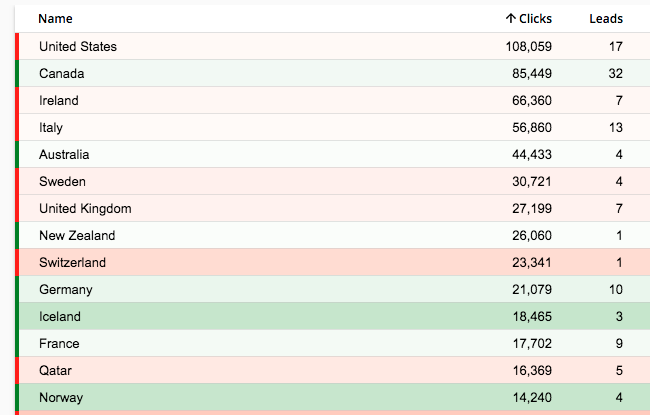 Here we see that there are sites which underperform for all campaigns. If you select the problematic site and hit “Drilldown”, you’ll end up on the report of this site. From here you can select the second level of grouping (by campaign name) and find the exact campaigns for which this site is active and remove it as a source. I also find it super useful to check the report on the sites for the entire source of traffic in order to find new GEOs. Here’s how it works. I have a platform that consistently gives a conversion in the digging for France. Having requested similar offers for other countries in the affiliate program, I saw that other countries are working on the same platform. Now I can launch a separate campaign only for this site and open it for several countries at once. The Binom guys often release new versions and now a fresh global update has been announced. I’ve already installed it and starting to test it out. Some of my favorite upgrades have to do with the granular way that data is displayed. It really helps you perform a fast visual analysis. 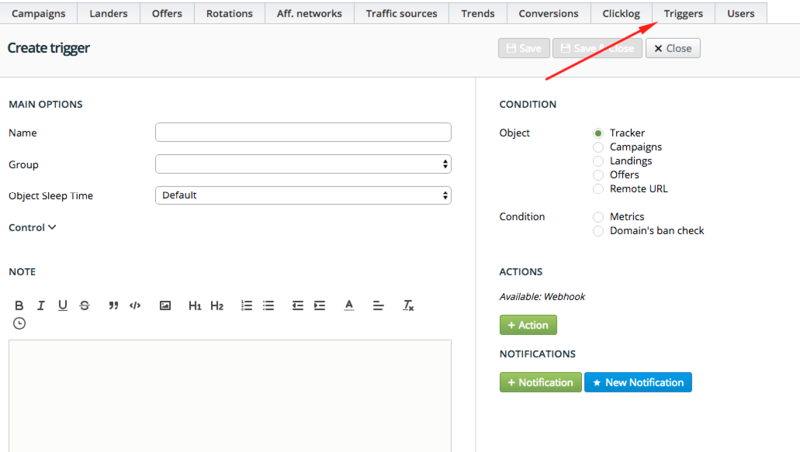 I especially liked the option to specify different analytical sections along the coordinate axes X and Y.
There’s also a new section called “Triggers” where you can automate traffic rules or notifications about important events. To speak with an example, you can set a rule for switching traffic to another offer or LP if the original doesn’t convert after a certain amount of time or volume of traffic received. If your domain gets banned, you can automatically redirect traffic to another domain. Since I also mentioned notifications – the tracker can send you one if an important event occurs. If, for example, your domain gets banned, you’ll get a message in Telegram. Nothing stands still, and neither does Binom – the team behind it constantly improves and tweaks it. 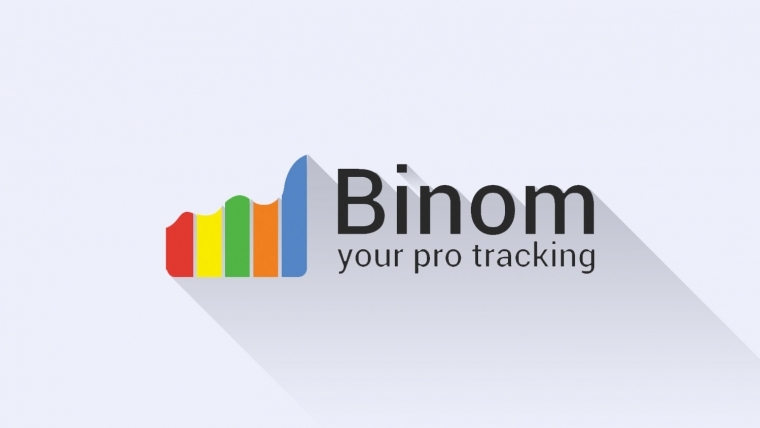 If you’re on the lookout for your first tracker and you need to optimize license costs, Binom definitely deserves your attention. By getting the most important information about Binom, you can now focus on your campaigns and worry less about the tracking process. What’s your favorite Binom feature?